Circa 1950s. The best cow horns were selected from the Riverstone Meat works and given to Baltic refugees for craft purposes. This chest of drawers has been neatly converted for costume display. Constructed from an old kerosene tin, this makeshift shower is one of our favourite objects at the Museum. 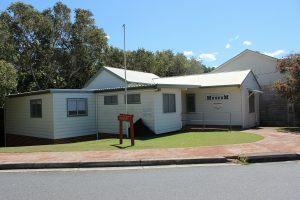 The Headland Historical Museum is located on Headland Drive, Nambucca Heads. That’s the same headland you’ll be watching for whales – so if there’s none frolicking in the waves below, museum entertainment is close at hand. 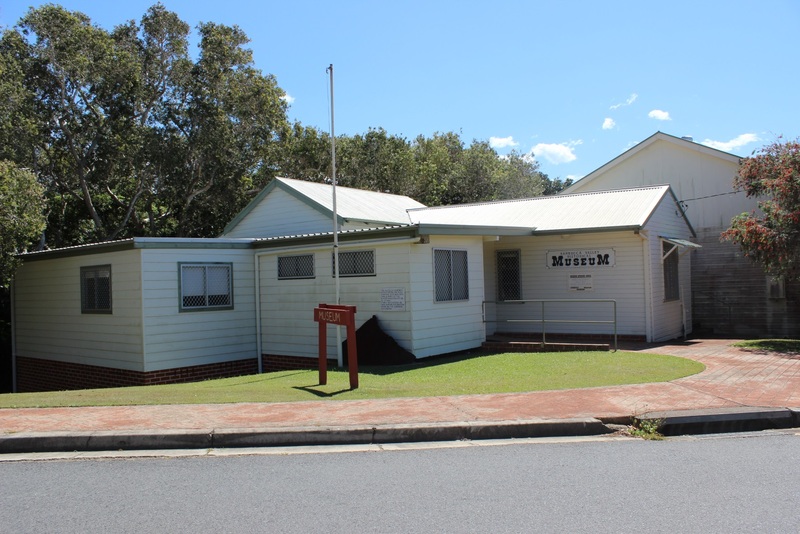 Open Wednesday, Saturday and Sunday between 2 and 4pm, the museum is home to a large and diverse collection of local artefacts and memorabilia. On the day we arrived, the museum was hosting a presentation on local history and consequently filled with visitors. The display and story of the Royal Tar expedition to Paraguay presents a little-known chapter of Australian emigration history and provided fascinating reading. In 1892 the Royal Tar was built in the Nambucca River financed by communist and social reformer, William Lane. The Royal Tar was the largest colonial ship built and sailed out of Sydney in 1893 with 241 passengers bound for Paraguay. 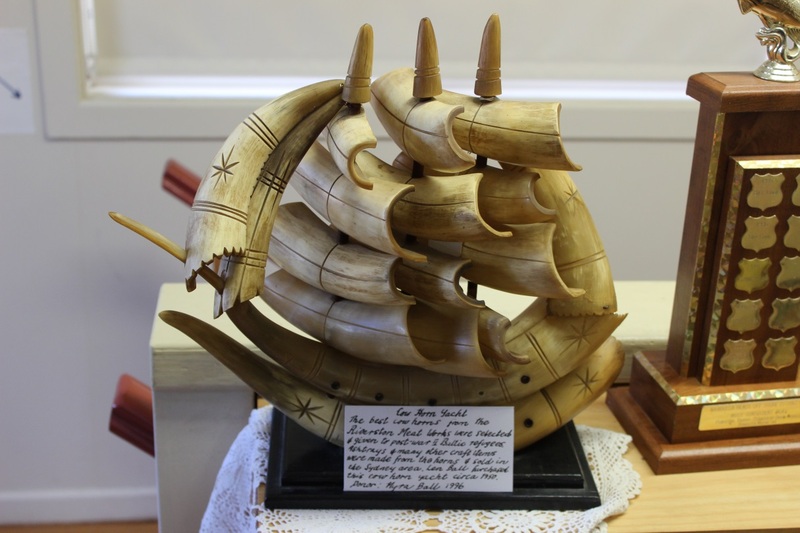 The related objects were almost as fascinating as the story itself – the yacht made of horns quickly became our favourite and confirmed our love of the small museum for things quirky, unlikely and endlessly fascinating. Lane had secured a land holding in Paraguay where he established a utopian society with some big ideals – shared land ownership, community controlled means of production, tee-totalism, gender equality and communal support of children – being amongst the founding tenants of this communist society. History tells of the society’s almost immediate failure with tee-totalism being blamed for conservable discontent. Even more surprising was that famous social reformer and poet, Dame Mary Gilmour met her husband in this Paraguayan utopia, returning to Australia with him in the early 1900s. Given the current debate around immigration to this country it was interesting to read about a group of people who believed deeply that life could be better elsewhere. 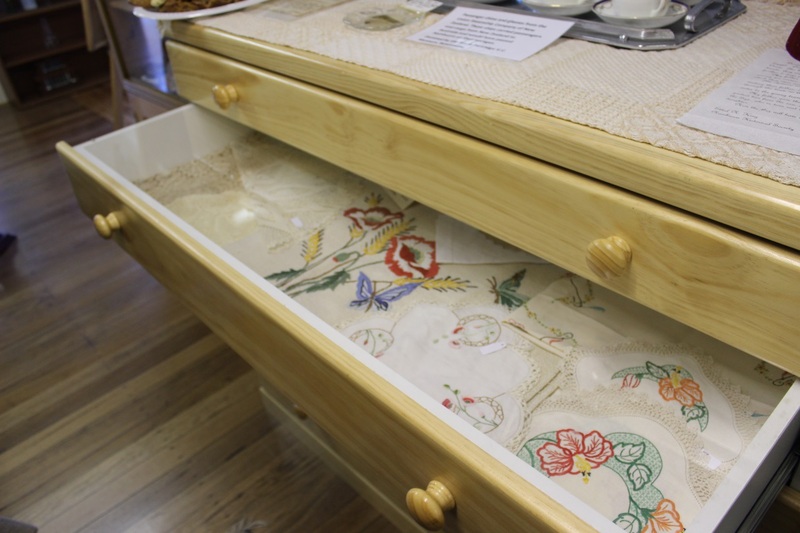 With limited resources the museum demonstrates its innovation and commitment to making its collection accessible – there’s a chest of drawers converted into a textile display cabinet allowing you to view the costumes. It’s beautifully laid–out and invites discovery tinged with a touch of voyeurism with the act of opening other peoples’ drawers! Downstairs you’ll find early farm implements, equipment, saddlery, household and work tools and a fabulous timber sample display. 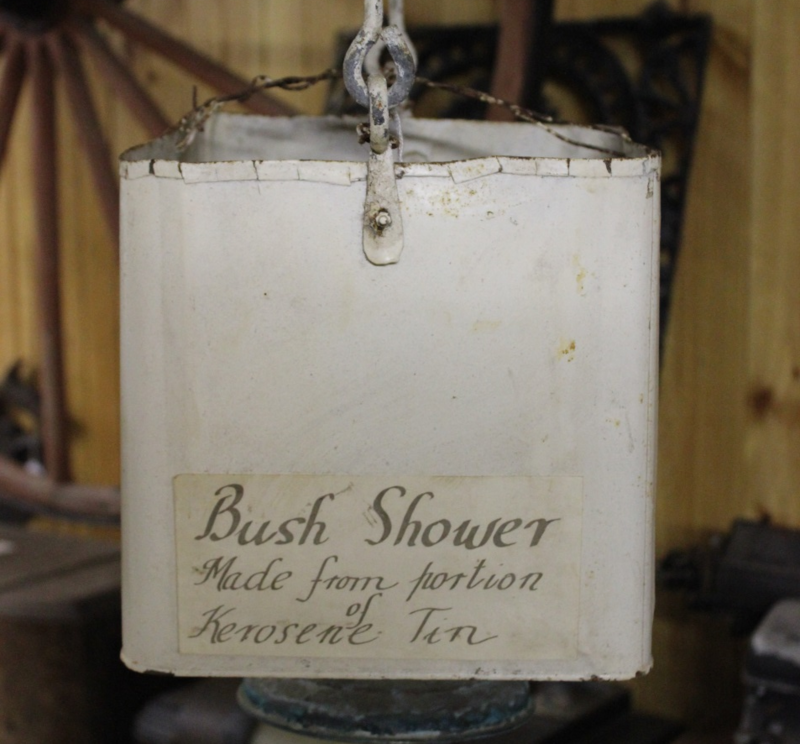 We particularly liked the bush shower made from a kerosene tin. It reminded us of childhood holidays and camping trips and the power of improvisation, where the shower was made from a metal bucket with added shower rose. The bucket would be filled with water left in the sun to warm – the novelty of which made having a shower a real treat.